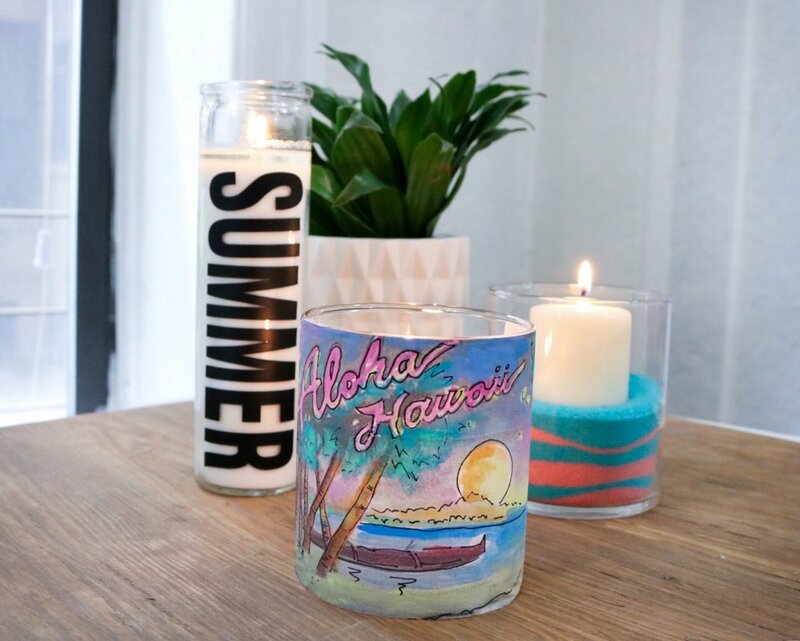 Summer is here and we're feeling the heat with these easy summer candles! Since we don't have any outdoor space and we love to change up the apartment with each season, we came up with 3 easy candles to help bring summer into our apartment! Suuuuummertime, and these candles are eeeeasyyyyyy. Check out our YouTube Channel for the full tutorial!